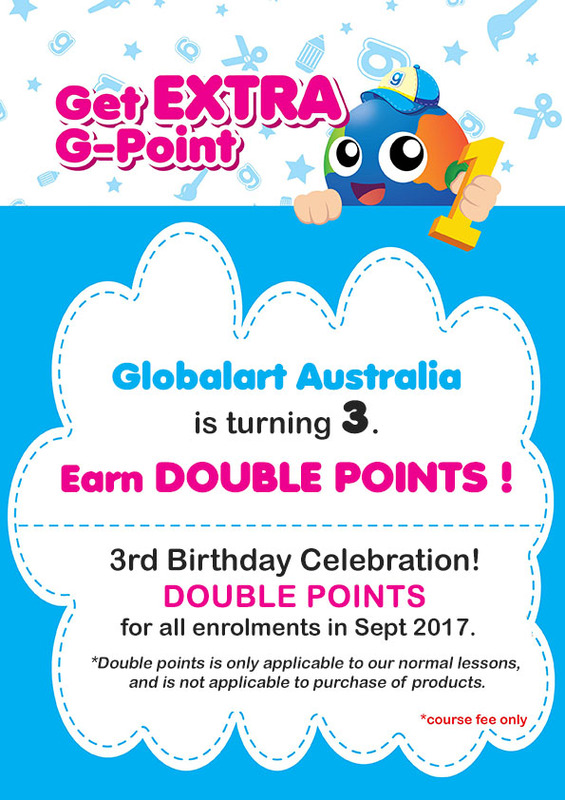 Global Art Australia is turning 3. Let us celebrate together! the whole month of September 2017. *Double points is only applicable to our normal lessons, and is not applicable to purchase of products.